A FIFA player had an opportunity to score with a 93 rated Thierry Daniel Henry, but completely missed the goal -- thankfully, he had the opposing team to help him out. ​​Thierry Daniel Henry, a 93 rating character, was in prime position to score an easy goal. The player's indicator was pointed directly forward, but the kick was an absolute embarrassment, as it went completely to the right of the net. Luckily for the player, Henry had some help from the defenders. One defender knocked the ball on the path of the net and then the other watched from behind the net as it slowly made its way into the goal. 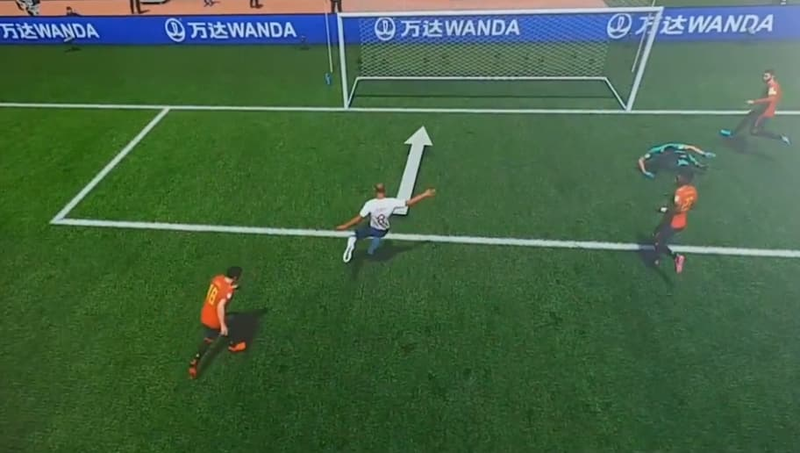 A splendid display of FIFA AI defense. YouTubers and professional FIFA players were able to get some hands-on time with EA employees and the ​group discovered some of the changes coming to FIFA 19. Thankfully, there are some defense changes coming to the game.